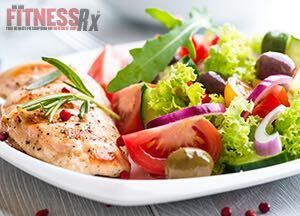 FitnessRX for Men > Nutrition > Meal Plans > What’s the Problem With Your Diet and Workout Plan? What is this pesky ‘dieting process‘ all about and why has it never worked for me? Well let’s take a closer look. The only problem with a typical diet is that it’s usually a drastic change in your normal eating habits, which seems to lower the quality of life because of the lethargic effects that people may experience from it. My theory is, a drastic change, will typically result in drastic failure. Now different from a formal diet – your nutritional plan is your – day-to-day eating habits – regardless of what it is. If you are willing – able – and capable of committing to a formal diet, will you lose weight? Sure, there’s a 99% chance you will unless of course you deviate from your diet or exercise program, but how’s the quality of life during this dieting process? Probably a little less than stellar, right? Well when you go from 3 to 4,000 calories per day (average American diet) and cut that in half, which is typical of a formal diet, your body is going through a rebound mode and doesn’t really know what’s going on. One of two things could happen – your body can go through shock because it senses a deprivation in food and will begin hoarding the calories (making you retain the weight) or on the flip side, you may actually lose the weight. If you begin losing weight, you’re in deed winning the battle of calorie deficiency HOWEVER, how long do you think you can really commit to a diet of this caliber? Will this be a life long commitment, till death due you part? Probably not – remember above where I said a diet is supposed to be for the short haul? So when you get off this infamous diet, whenever it may be, you will inadvertently fall back into your normal – day to day eating habits, which I referenced as your ‘nutritional plan.’ Now here again, when coming off your diet, if there is a drastic increase in calories when you revert back to your nutritional plan – you will ultimately gain the weight right back and be another yo-yo dieter statistic. So with this in mind, more than likely the diet isn’t the problem, but your nutritional plan is. You don’t really have to go far to learn about different diets these days. You can pay a Dietician or Nutritionist (or Personal Trainer) hundreds of dollars a month listening to their diet solutions or you can go the economical route and just Google a multitude of diet remedies online – or just listen to me for a moment. Lets get your nutritional plan under control now so you’ll never have to commit yourself to a formal diet ever again, that’s right, NEVER again. You won’t need meal replacement shakes, weights, a gym membership, hours of cardio, herbal remedies, or even supplements, I know – I’m boring. You’ll just need a piece of paper, some will power, and a little fortitude/discipline to accomplish this task. Let my hundreds of weight loss clients be a testament to my winning weight management formula. Now, with your notebook or several sheets of paper and your handy dandy pen – for the first week, all you have for your homework assignment (yes, there is a little bit of work now) is to track ALL of your calories, EACH day, for one week (lets do all 7 days instead of 5), I’ll need you to come up with the ‘magic number.’ This number will be just as important to you as your social security number, your blood pressure, your yearly income, and any other pertinent number that is of any significance to most people. Without tracking your daily caloric intake, it will be very difficult to note your progress without stepping on the scale – and you may have heard that your body weight isn’t the very best determinant of your weight management progress these days. (I personally weigh 210 lbs. so I would be considered a ‘fat boy’ by the Body Mass Index’s idea of body fat composition). You could be retaining fluid for certain reasons or you could have gained muscle mass (muscle weighs more than fat) or have a medical condition that will throw your weight off kilter. Now when I say track your calories for a day, that means all beverages containing calories (excluding water or diet beverages), in addition to food this includes: sauces, gravies, sugar/creams added to coffee or tea, salad dressings, butter garlic dipping sauces, alcohol, (alcohol = 7 calories per gram; ouch)and anything else that contains calories. When in doubt, look at the nutrition label or simply do an internet search for the ‘nutrition label’ for that item – it will pop right up, so there are no excuses now. I will need you to do this for a minimum of 2 weeks, then after this, it will be second nature and you’ll kind of get the hang of it afterward. During this preliminary phase, I’d prefer you not cheat and use phone apps. When you learn how to do basic math in grade school, the teacher wants you to learn manually before calculator use is permitted, same principle with nutrition – I want you to understand the fundamentals of calorie counting before you start using a phone app. If you always count on apps or if machines to do the work for you, you wont have a thorough understanding of this process and frustration will await you. Now, with that aside, lets start off with the first day. This is relatively easy now, all you have to do is eat everything you would NORMALLY eat, don’t do anything special; but be sure to jot down exactly what you ate for breakfast, lunch, & dinner (and snacks), and precisely how many calories were in those food items. Every calorie must be accounted for and again – no cheating and no special dieting here, if you do, you’re just defeating the purpose. I want your daily average of the foods you normally eat. Remember this is NOT a diet, but your nutritional plan. As I just discussed, tweaking your nutritional plan keeps you from having to diet. You can still eat all the same foods you’re accustomed to eating without having to commit to a formal diet. Now after you’ve tracked your calories for one day, take that number and write it down at the bottom of the first page, turn over to the second page and repeat the same process for the next day and so on for the remainder of the week. Be sure to read the nutrition labels on the back of ALL food items you purchase, again, when in doubt, look it up online. During this process, take special note of the ‘serving size’ of these food items also. If the serving size for one container of green beans is 3, and the calories are based on just one serving, then you will have to multiply that container by 3 to get the accurate calorie count for that one food item, and be sure to do this for all other foods items as well. You don’t have to pay too close attention to the macronutrient ratio at this point (carbs vs. protein vs. fat), we’ll worry about that later. Now towards the end of the week, you should have 7 complete daily logs of what you ate, and the total calories associated with it. Take all the daily totals that you kept at the bottom of each page and get a daily average, then eventually a weekly average. Put this ‘very important number’ at the top of the page on the 7th day and circle it. This will be your new weekly goal of calories to beat for the next week. But instead of destroying this number the next week, we’re just going to taper down a measly 500 calories PER DAY, each day, for the week. That’s 3,500 calories per week (if done correctly) that you’ll lose, (if you stay committed) and that my friend equals a POUND of fat. Do this for a whole year and do the math, that’s 52 pounds a year, if you want to lose more weight, then shed 750 calories per day and so on. You get out of something what you put into it – we’ve heard this before. Now how do you lose 500 calories per day? Try NOT to do this for just one meal but spread it out over the course of the entire day by losing150-200 calories for EACH main course and you can lose those calories very quickly. This could simply mean, you consume less calories for each meal, or you can have the meals prepared a bit different (fried vs. grilled/baked), or even try putting the sauces or dressings on the side instead of smothered on top. If the sauces/dressings are smothered on top, you’re guaranteed to consume all of the calories, conversely if the sauces/dressings are on the side you can use them as a ‘dipping’ sauce where you probably won’t use all of it’s contents therefore you save calories; they add up over time. Again, the best thing about this formula is you’re still eating the foods you’re accustomed too, so it shouldn’t really feel like you’re actually dieting, yet you will still shed those pounds – permitting you stick with this simple solution. If you still want to lose weight quicker, incorporate some form of exercise into your daily regimen and the weight will fall off much faster. I’ll discuss the different forms of exercise in a future blog so keep checking back to Fitness RX for Men for more info.